Ruiz opened its doors in 1998 to immediate acclaim. Recognized nationally as an award-winning salon, for its innovative business practices, and strong editorial presence, Ruiz leads Austin’s beauty and fashion scene. This Austin, Texas salon has been featured often in Harper’s Bazaar, Vogue, In Style, Glamour, Marie Claire and has been a mainstay at New York Fashion Week, styling hair for such acclaimed designers as Zac Posen, Michael Kors, Betsey Johnson, Rodarte, and Proenza Schouler. On the home front, Ruiz is known for its impeccable service, strong community involvement and cutting edge professional training. With over 13 years in business, Ruiz recruits only the best talent, most compassionate staff and team members who genuinely care about guests….all culminating into a unique, personal, unrivaled salon experience. 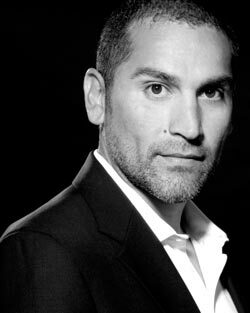 Allen Ruiz is co-owner of Ruiz Salon based in Austin, Texas and has worked with Aveda over the last 18 years and currently serves as the Global Style Director for Aveda North America. As a Global Guest Artist, show lead for New York Fashion Week, Editorial Stylist and independent salon owner, Allen is a passionate artist who has honed his skill and talent in every facet of the beauty industry. Collaborating on Aveda global campaigns, education collections and manufacturer advisory panels Allen Ruiz is a pure voice within the industry. Allen has enjoyed many awards, among them being recognized as the North American Hairstylist of the Year, Latina Magazine’s Top Ten Latino Hair Stylists in America and most recently International Stylist of the Year from the Canadian Mirror Awards. 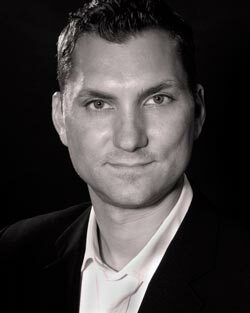 Heath Smith is a co-founder of the Ruiz companies in Austin, Texas. As Director of Operations, he has been instrumental in growing Ruiz to a multi-million dollar company recognized nationally by Salon Today Magazine,Day Spa Magazine, American Salon, Modern Salon,and the Austin Business Journal for its innovative business practices and unique employee culture. With over 18 years experience leading retail and service businesses, Heath has developed a core management system built upon strategic planning and fundamental systems development. As an active industry coach and consultant Heath assists business owners in all facets of development and company growth. Heath has been a presenter at Serious Business, an instructor for the Aveda Business College and serves on several salon-industry business advisory panels. We touch with intention, share our knowledge and build lasting relationships in the world around us.